A child’s psychological needs are greatly increased during and after a divorce. Often they are experiencing an economic and emotional roller coaster, which can lead to guilt, fear and confusion. If parents are consciously focused on and sensitive to their child’s needs through divorce and its aftermath, they will do a better job of meeting those needs in the weeks, months and years ahead. Approval and Acceptance: This will be a child’s greatest need because their sense of self is very likely in a fragile state, especially if they have been exposed to conflict, anger or high stress. They will try to gain approval because their sense of belonging to the family has been shattered. Children also tend to personalize things and blame themselves. If mom and dad are fighting and divorcing, they personalize it. They think, “If we didn’t make so much noise. If we didn’t need shoes…” They need acceptance. They need to know that they are important, that they are a priority. They will try to gain approval because their sense of belonging to the family has been shattered. Safety and Security: Parents need to go beyond normal efforts to assure their children that although the family has fragmented, their protection is solid. The key is to maintain as much normalcy as possible in parenting, boundaries and routines. They need to know that their world is still predictable and that it’s not going to keep changing on them. By trying to minimize changes and focusing on what is still the same (friends, school, toys, etc.) your child will feel some sense of comfort which can help them adapt to the differences they are facing. Release From Blame: Children often shoulder the blame for the dissolution of a marriage. They personalize their part in the divorce because they know they misbehaved and they feel that they’re somehow being punished for it by the breakup of their parents. Be conscious of this and assure your children they’re blameless. They need to hear this message from both parents – and not just once. That can help them release the sense of guilt, blame or shame they experience – and may not share with you. Structure and Discipline: When parents are divided or absent from the home, children will check and test for structure. So be sure to provide it. 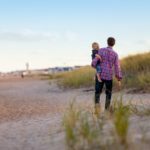 During and after divorce children need structure more than any other time in their lives, because their world seems to be falling apart for them. This is the time to enforce discipline consistently and with the right currency to promote good behavior. They need to see that life goes on, and they’re still an integral part of a family unit, despite the divorce. Stability and Strength: Whether or not you feel brave and strong, you have to show up at your best for your children. They’re worried about you and about your partner, especially if either of you reflect your sadness, anger and instability. When children sense weakness they will test their limits, putting strain on your relationship with them or opening the door to your children parenting their parents. That immediately robs them of their childhood! So do everything you can to assure them of your strength. By doing so, you make it possible for them to relax. Role model yourself to be a person of strength and resilience – a parent they can still depend on with confidence. Permission To Be a Kid: Children are not responsible for your divorce (even if you’re fighting about them) nor should they be given the job of healing your pain. Too often we expect our children to serve as armor or as saviors for parents in crisis. They shouldn’t be dealing with adult issues or know too much about the drama taking place between mom and dad. There are two primary rules to keep in mind for your kids at times of crisis and instability in your family. Never burden your children with situations they cannot control. It will promote feelings of helplessness and insecurity, causing them to question their own strengths and abilities. Never ask your children to deal with adult issues. Children are not equipped to understand adult problems. Their focus should be on enjoying their childhood and learning from the various stages and experiences they go through. With this sound advice in mind, you will be better equipped to navigate the challenges of parenting after divorce with greater success for you and your children. Don’t be afraid to ask for help or support from therapists, divorce coaches, educators and other experts experienced with the challenges of divorce. Your kids need you now for that ever. Always remember to hug and tell them how much you love and appreciate them – every day! Rosalind Sedacca, CDC is a Divorce & Parenting Coach, founder of the Child-Centered Divorce Network and author of How Do I Tell the Kids About the Divorce? A Create-a-Storybook Guide to Preparing Your Children — With Love! For her free ebook on Post-Divorce Parenting as well as helpful articles, coaching services and other valuable resources for parents facing, moving through or transitioning after divorce, visit: www.childcentereddivorce.com.